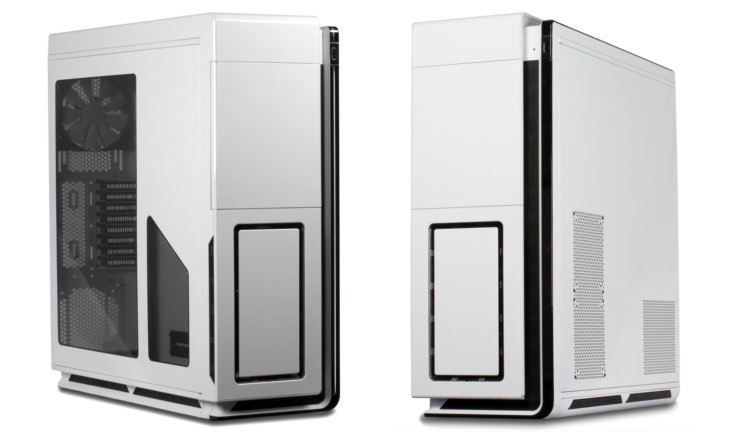 Newcastle-under-Lyme - Recently we saw the launch of the Phanteks Enthoo case, a well crafted chassis suitable for enthusiasts and gamers alike. Today we see the launch of the Enthoo in a nice crisp white, bringing even more variation. Integrating the touches of the black finish, the white Enthoo keeps all the same features. 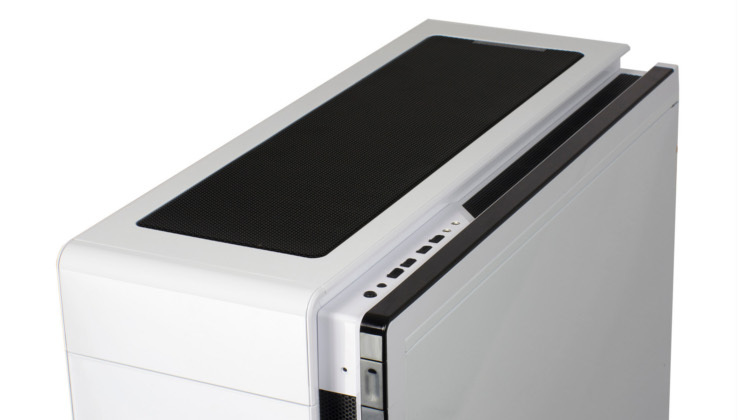 A subtle white LED gives off a finishing touch producing a soft lift from the top to front of the case. Dutch designers at Phanteks have created some of the best and most efficient coolers on the market today, well known for their unique looks and colour schemes. The Enthoo Primo is a case that sets a level of it's own and it's really a monster. When you are dealing with a company that specifically design coolers, you know the capability in a case will be above and beyond. The case has clean and elegant style, with controllable LED lighting. The stealth interior covers the PSU, HDD and cables along with grommets (modular cable cover) for the most clean and sleek looking system. For more installation flexibility, the internal HDD cases can be repositioned or removed which can also give unrestricted airflow. A closed HDD panel strengthens the chassis rigidity even when the cages have been removed. Drop-n-Lock brackets is a great feature which means SSD's can be installed on 3 different locations, the brackets are supplied with the case. For easy installation of cooling components the front and top covers can be removed along with dust filters that can be removed cleaned and reinserted with ease. Tidy cable management is always essential, the Enthoo has pre-installed management capabilities with tools behind the motherboard tray that can be fastened and released. LED ON/OFF switch is capable of controlling 4 additional LED fans and LED strips. 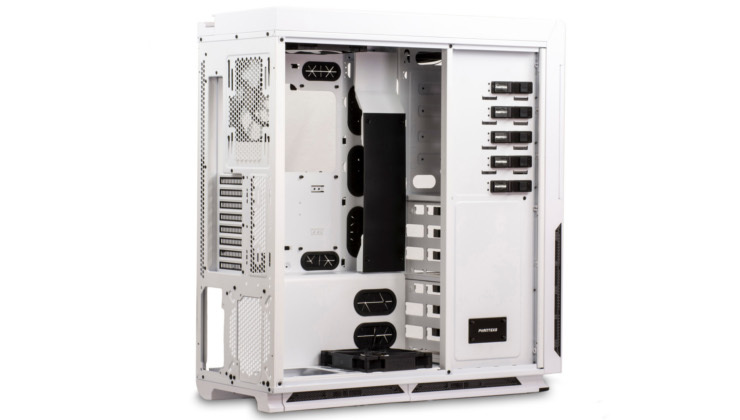 The case has space for up to 2 PSU's. • Radiator brackets allows for easy installation (bottom and side). • Modular cable cover with pre-drilled holes for mounting reservoirs. • Rear reservoir mounting location. • Universal pump bracket with vibration dampening function. Front - Up to 240mm rad.